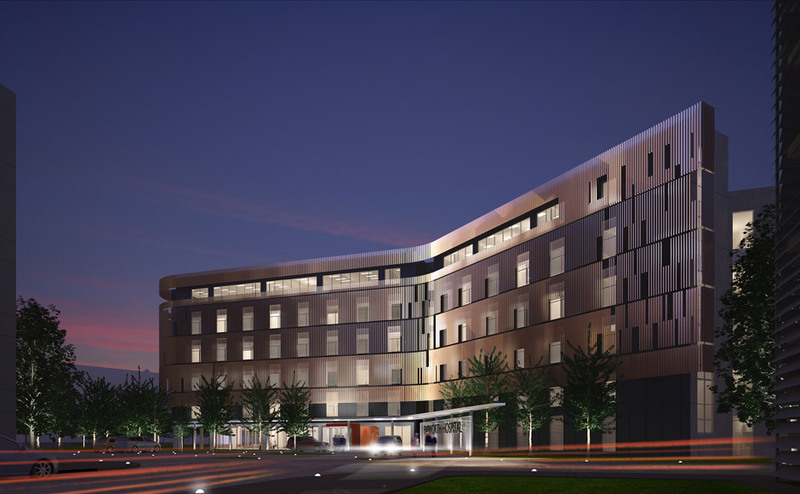 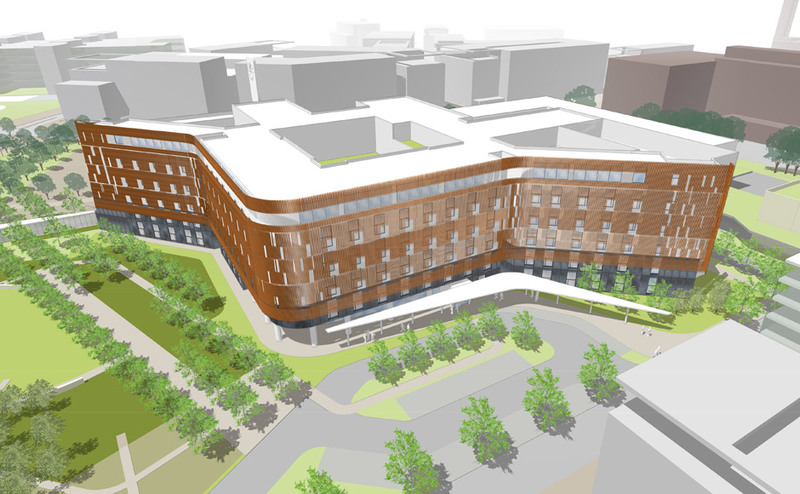 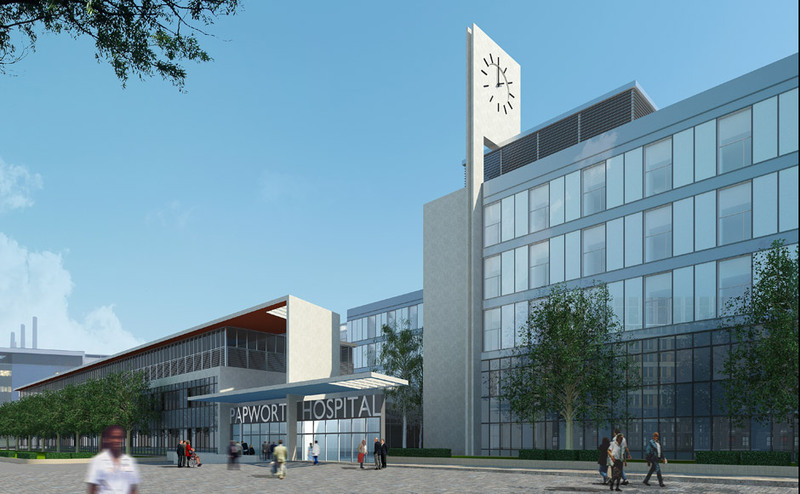 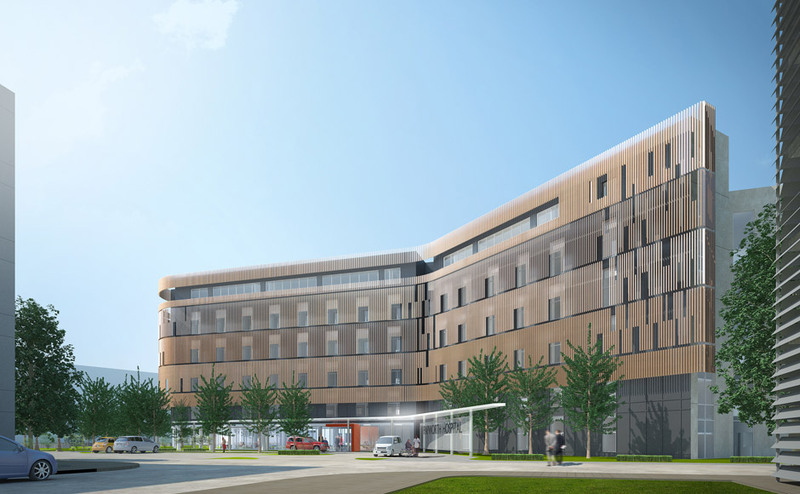 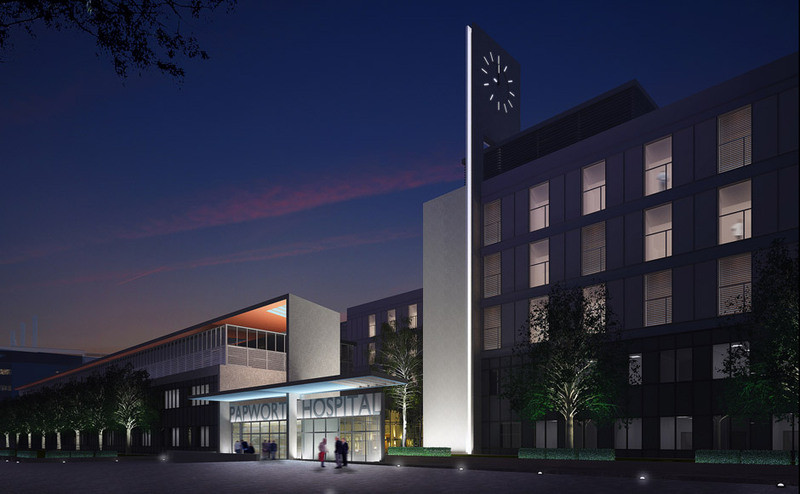 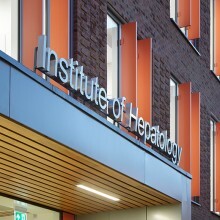 Avanti Architects were part of a consortium invited to develop designs for the New Papworth Hospital, a specialist heart and lung facility with a worldwide reputation as a centre of clinical excellence. 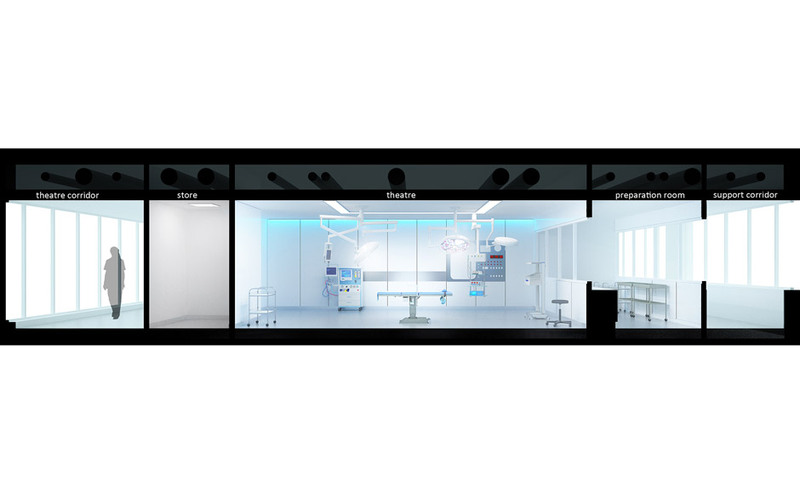 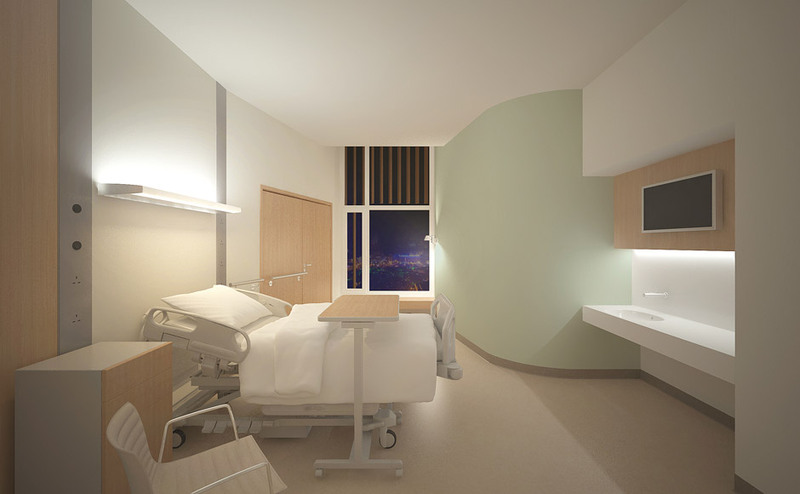 Our proposals integrate the technical and functional requirements appropriate for a centre with this level of expertise with the provision of a caring high-quality ambience centred on the needs of the patient. 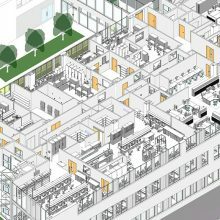 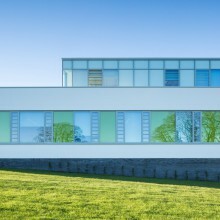 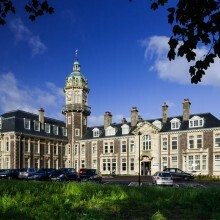 Through an intense and engaging process with the client we developed a number of bespoke solutions to the specific functional requirements and priorities, for example a bespoke bedroom and en-suite design, arranged in 100% single bedroom clusters that achieves levels of staff observation that significantly exceeds the performance achieved by other benchmarked examples of wards of this type.